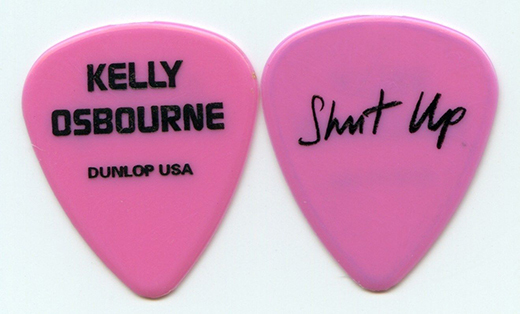 Description: Kelly Osbourne Pink Guitar Pick. Description: Kenny Chesney Concert Tour Guitar Pick. Description: Kenny Wayne Shepherd Band Signature Concert Tour Guitar Pick. Description: Kings X Ty Talbor Concert Tour Signature Guitar Pick. Reserve side Kings X logo. Description: Kings X Doug Pinnick Manic Moonlight Concert Tour Signature Guitar Pick. Description: Kings X Doug Pinnick Concert Tour Signature Guitar Pick. Reserve side Kings X logo. Description: Kix Brian Damage Concert Tour Guitar Pick. Description: Korn Munky Concert Tour Guitar Pick. Reverse side band logo. Description: Kreator Sami Yli Sirnio Concert Tour Guitar Pick. Reverse side band logo.